Share the post "National Stationery Week is Coming!" 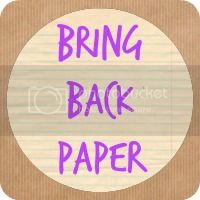 This month’s Bring Back Paper activity is all about encouraging a little happy mail with Let’s Get Snail Mailing. I hope I’ve inspired some of you to put pen to paper and that my Writing Sets Guaranteed to Get you Snail Mailing and Snail Mail to Inspire have enticed you. I’m already looking forward to lurking Instagram for that whole week – just imagine the pretty fountain pen and write a letter day pics! Oh, and Get Organised Day is bound to have lots of planner and list snaps – the joys! The website has a handy section on Children’s Activities, with suggestions for encouraging writing, developing handwriting, ideas for hand and finger play and plenty more, so do pop on over there if you have young children. I have already lost the pencil crayons and sharpener to my daughter – it took literally minutes of them being in the house until she found them and declared them hers! Apparently they use the Staedtler pencils in school, which to her mind must mean that they are hers, and the Maped sharpener is so cute and fun, I knew she’d abscond with that. I have, however, managed to keep the little nu:notepad which is really handy for keeping in my bag, along with the lovely Sheaffer pen. I love the colour, and it writes beautifully, even with my awful handwriting. I do find the Bic 4 colours pens useful for my university work, allowing me to make quick notes with varying colour codes without switching between pens all of the time. Though you won’t be surprised to learn that the two smaller pens have already found their way into smaller hands…! You can find out more about National Stationery Week here and pop and follow them on Twitter and Instagram ready to join in. I love my Bic 4 colour pens, I carry them with me in my planner. Looking forward to National Stationery Week! They are so handy, and that is a good idea, thanks! You encouraged me to start snail mailing, I’ve gained a blogger penpal and I’m just waiting to be put in a group at post circle, I’m really looking forward to sending and receiving some happy mail. That’s wonderful to hear! So happy to have inspired some happy mail – enjoy!